Soaring As Eagles Outreach Ministry, Inc. is dedicated to empowering teens and teen parents through educational material and seminars pertaining to literacy, parenting skills, career preparedness and health. Soaring As Eagles seek to unlock the potential of teens through counseling and mentoring. To assist in strengthening the community, Soaring As Eagles is committed to drug and violence prevention. To promote the expansion of opportunities and to improve the quality of life for young people, Soaring As Eagles is devoted to providing financial workshops and entrepreneurial guidance. SINT is pleased to partner with Soaring As Eagles in tutoring students and training adults to tutor students. 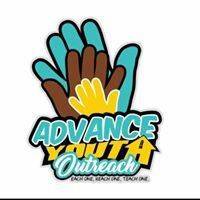 Advance Youth Outreach was founded by Vance Williams and is dedicated to serving young people to train them in various ways to make them more productive individuals personally and professionally. NCOAE is a values-based outdoor and adventure education provider for teens and adults interested in personal growth and professional development. NCOAE courses and workshops run from three days to 3 months, and focus on a skills associated with various outdoor activities. Strength in Numbers Tutoring partner with NCOAE as a tutoring provider for their students - when they're not on an awesome trip in the great outdoors. We partner with the Grandparent Support Network (GSN), an outreach ministry of First Presbyterian Church of downtown Wilmington, NC. OOPS is a youth development nonprofit that fosters self-confidence, leadership skills, and positive decision making in underserved youth. OOPS was created to help at risk individuals break cycles of negative risk-taking, violence and addiction. Food Lion has generously provided gift cards to enable Strength in Numbers Tutoring to provide snacks to our students after their school day. Thank you Food Lion! 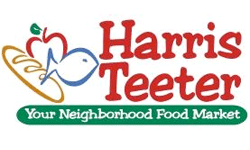 Harris Teeter has generously provided gift cards to enable Strength in Numbers Tutoring to provide snacks to our students after their school day. Thank you Harris Teeter!